BMW M4 Review 2019 | What Car? How odd, you might think; it’s the new BMW M3, only it’s not. It's an M4. Well, quite. It is a bit of a departure – a result of the introduction of the 4 Series name to BMW’s mid-sized executive coupé, upon which the M4 is based. The M4 is also available as a convertible, depending on your preference. The important thing is that – on paper, at least – the M4 seems to be a sort of successor to the legendary M3 coupé of yesteryear. Power goes to the rear wheels alone, but the previous model’s V8 engine has been replaced with a more powerful and more efficient 425bhp, twin-turbo, 3.0-litre, six-cylinder engine. A six-speed manual gearbox is standard, but the vast majority of UK buyers will opt for BMW’s optional seven-speed dual-clutch ‘M DCT’ auto. There is, of course, an array of technical trickery as standard, including adaptive dampers, heavily revised aluminium suspension, and an electronically controlled limited-slip differential. 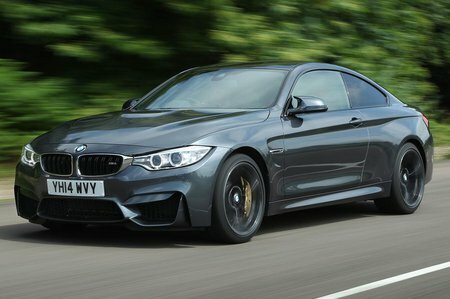 What are the performance rivals the M4 has to overcome? Well, that’ll be the Mercedes-AMG C 63 Coupé and Audi S5, as well as their open-top versions.